TOP FURTIVE: How to Test and Verify Whether Your Android Mobile Is Rooted or Not. 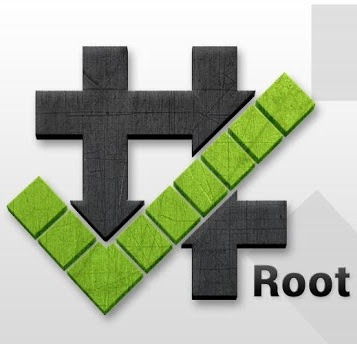 How to Test and Verify Whether Your Android Mobile Is Rooted or Not. Rooting Android mobiles or tablets have become a major task for many Android users. But after rooting your Android device do you doubt whether your device have successfully rooted or not? Sometimes after rooting the device, rooting tools shows successful rooting message but the phone may not contain proper root access. 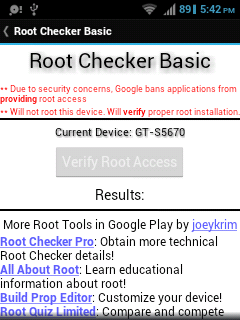 So it’s better to test and verify if device is rooted or not. Here’s the simple solution which give result in seconds. Install app named “ROOT CHECKER” on your mobile from GOOGLE PLAY STORE or scan this QR Code on your mobile. Next, open root checker, if asked “Accept” the Disclaimer. On the screen you will find the name of your device with the button “Verify Root Access”. Tap on “Verify Root Access”. When asked for Superuser Request, tap “Allow”. If you get result : “Sorry! This device does not have proper root access.” then there's something wrong with your root access and try rooting again. If you get result : “Congratulations! This device has root access!” then you have successfully rooted your mobile with proper root access. Artikel How to Test and Verify Whether Your Android Mobile Is Rooted or Not. ini dipublish oleh Unknown pada hari . 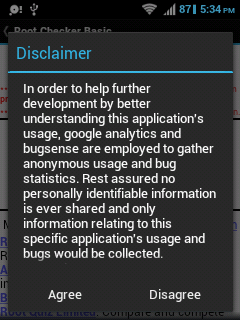 Semoga artikel ini dapat bermanfaat.Terimakasih atas kunjungan Anda silahkan tinggalkan komentar.sudah ada 0 komentar: di postingan How to Test and Verify Whether Your Android Mobile Is Rooted or Not.